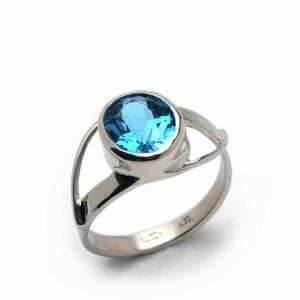 Graceful open worked white gold ring with lively blue Topaz. We thought you would like to know has been eyeing up our 14k White Gold Blue Topaz Split Shank Ring for some time now and has requested we bring it your attention. 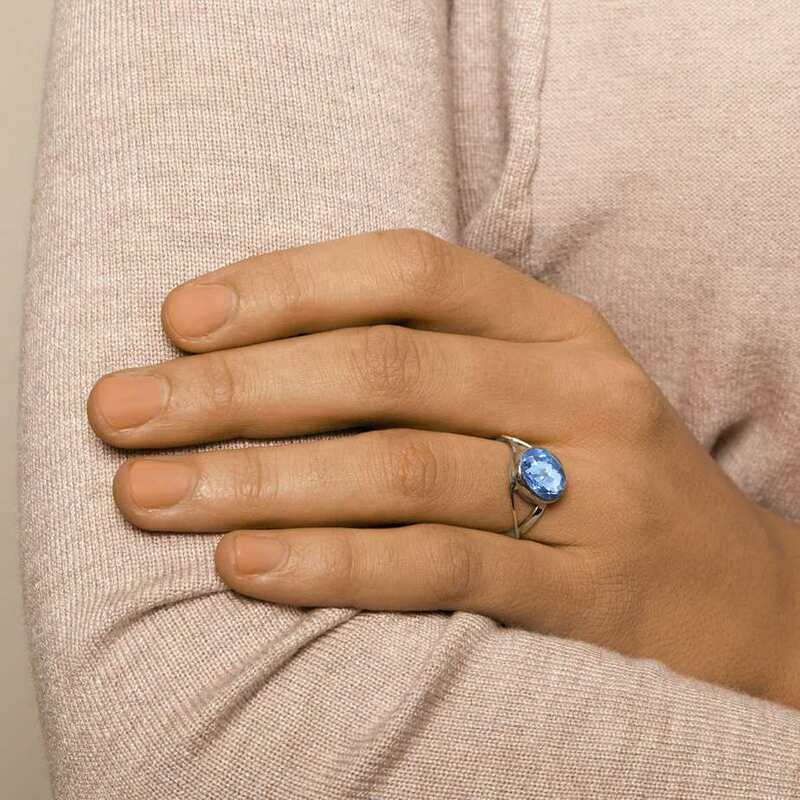 What's your question about 14k White Gold Blue Topaz Split Shank Ring? 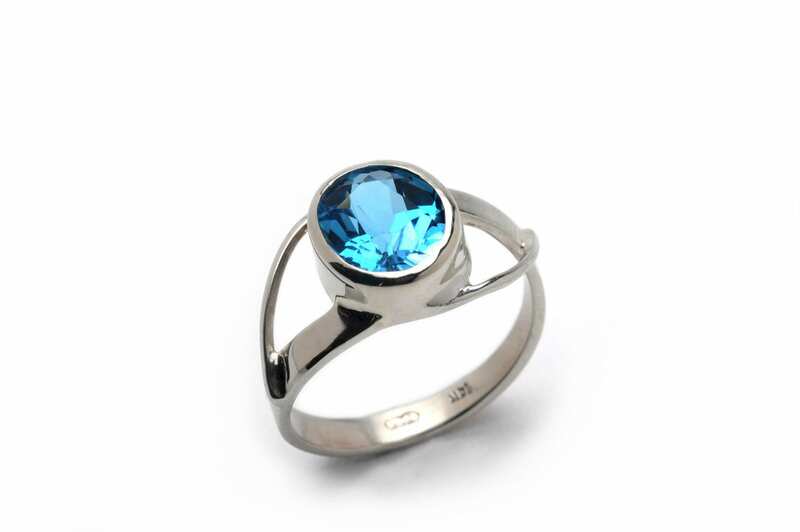 Set in a graceful 14k white gold split-shank ring the colour of this sparkly Swiss blue topaz in this ring is incredible – it will be hard to look away! Ring Size: M. Band Width: 3mm. Setting Dimensions: 12mm x 9mm. 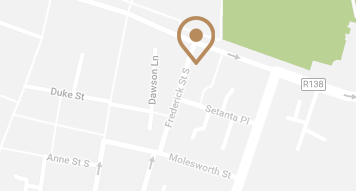 Band Profile: Flat. Note: Available to order in different sizes, metals, gemstones. Matching Bracelet, Earrings and Necklace available.